What is Rustins Danish Oil? Rustins Danish Oil is a special formulation developed by Rustins Ltd.
Based on Tung Oil, also known as Chinese Wood Oil. The oil is extracted form nuts, similar in size to a brazil nut, growing on species of trees mainly in China and some areas of South America. After processing, the oil is blended with synthetic resins and other vegetable oils to improve hardness. Driers and solvents are added to reduce the viscosity, so that the oil may be applied with a cloth or brush. 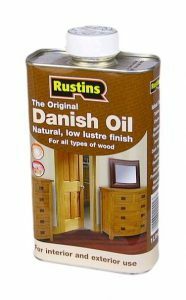 Rustins Danish Oil is used extensively by woodturners throughout the world to obtain a superb satin finish. 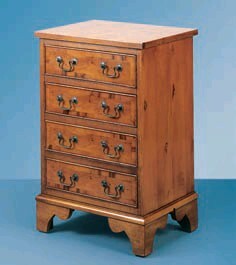 How does it differ from other wood finishes? The special ingredients used in the manufacture of Danish Oil penetrate deep into all types of timber, drying to a hard, durable and water resistant seal. Unlike varnishes, it does not leave a thick film which may peel, chip or craze on ageing. The oil dries quickly in 4-6 hours, dependent on the ambient temperature and humidity, producing a non tacky surface. 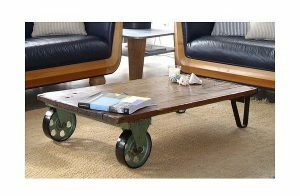 It does not, therefore, pick up dust or dirt as will wood treated with linseed oil. As it is a hard drying oil, it may be used as a primer or sealer on bare wood before applying other finishes. If required, Rustins Danish Oil may be used on interior and exterior woodwork and can be over-coated with a varnish or paint at any time, if it is desired to alter the appearance. 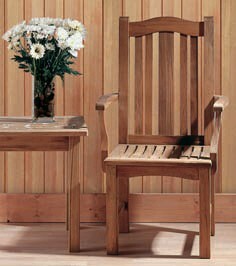 Rustins Danish Oil is an excellent product for use on woodturnings. It is very easy and quick to apply, is not affected by dust and greatly enhances the colour of the wood. 1. Apply a liberal coat with a brush or rag whilst the work is on the lathe (lathe stopped). 2. After a few minutes, wipe off any excess, then re-start the lathe at (slow to medium speed) and burnish the surface dry with a soft dry cloth. 3. Depending on the wood, you can repeat this three or four times, allowing some drying time between coats, usually I apply about three coats burnishing them dry with a clean dry cloth. 4. For a final finish I start the lathe at slow to medium speed. Put a very small amount of oil on a cloth, spread this over the work with light pressureat first, then increase the pressure and continue moving over the piece until burnished dry. This results in a polished satin finished surface which will keep its sheen for a long time. a natural satin finish that will not peel, crack or chip. It is also Food Safe. 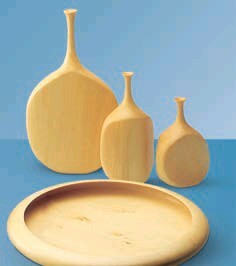 When used on Salad Bowls and Domestic Articles it seals the wood and makes it water resistant. When the article is hand washed, an application of salad oil or cooking oil on the inside, will keep it in good condition. For general use on furniture & Exterior wood How is it applied? Easy – Using a clean soft cloth or brush apply liberally, then wipe off the excess after a few minutes, wiping away the surplus with a soft cloth or paper towels. 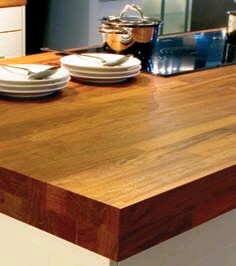 New or bare wood should be oiled 3 times initially. The surface must be clean, sanded smooth and free from contaminants like wax and dirt. For best results apply to dry, sound wood with a moisture content between 12-20%. Do not apply to green timber. Oily woods (e.g. Teak, Iroko) should be cleaned thoroughly with white spirit before application of Danish Oil. Exterior wood requires a minimum of 3 coats applied liberally and not wiped off. To improve the penetration and durability dilute the first coat 20% with white spirit. Exterior wood will require regular re-oiling, especially on horizontal surfaces and in very exposed conditions. Bare wood may be dyed if required with Rustins Wood Dye. Rags used for oiling should be laid out flat to dry; otherwise they may catch fire due to spontaneous combustion. Regulations 1995, BS:EN71 Part 3.